These days, everyone checks reviews on everything before spending their well earned cash. So always remember to help out your local businesses or providers by leaving them a helpful comment. We find our Google business page is the easiest way to leave a review. If you have a business and would like to boost your popularity, the article above shows you how to set this up so that you can receive lots of comments from happy customers! We’re very happy to announce that this week we have just starting working with a Web design and SEO company in the Darlington area. As part of the contract we will take on their commercial cleaning to the office space. We will also focus on giving a periodic deep clean to the office space to ensure all cleaning tasks are covered. A County Durham based flooring manufacturer asked Sharp Cleaning Services to review it’s cleaning needs and provide a good solution. Unfortunately their current provider wasn’t giving a quality, consistent job. 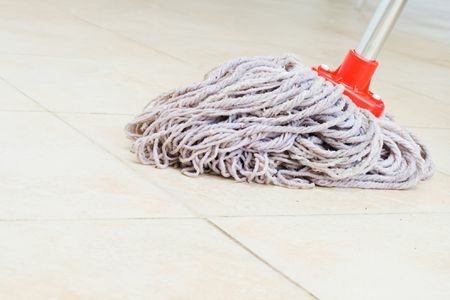 We will carry out a deep clean to the office space, bathrooms, kitchen and communal areas. No stone will be left unturned, all furniture will be pulled out and cleaned. Every surface sanitised. Following this we will continue to clean their work space on a weekly basis. Letting them get back to what they do best, make high quality wood flooring. Are you based in the North East and need a cleaning provider? We’re very happy to announce that this week we have just starting working with a Logistics Software company in the Darlington area. As part of the contract we will take on their commercial cleaning to the office space as well as the window cleaning to the site. Everyone loves a before and after shot. Images of a commercial property, cladding and canopies cleaned and gutters cleared. Pretty much everyone wants to spend as little time cleaning their home, but be left with the best results possible. When we clean offices and other commercial premises this is simply efficient use of time and skills. But sometimes in the home we stick with the traditional wisdom that's always been used. With this in mind we've collated some of our favourite blogs to help get you inspired. Spend less time cleaning, get great results and have more time to put your feet up glass of wine in hand. This is first because it focuses on organisation a lot of the time. Get organised first, clean second. The way the article are written is witty too. We love the Clean Mama blog. We've linked especially to the printable checklists. It's great having the internet at your fingertips, but what happens when you're meant to be cleaning, then every time you look at your checklist you get kidnapped by Facebook, Instagram or videos of cats. Check out everything on this site, you've struck GOLD. This blog is great for this. That long week at work, when you get in and realise you've got friends visiting in T minus 12 hours. This blog looks great, and gives a ton of great advice. Jillee has a huge range of topics she covers, but we especially liked the cleaning blog posts on things like; Cleaning glass lamp fittings, 10 cleaning do not's and cleaners homemade vs. store bought. These blogs are just a few of our highlights, but if you'd like any more to look at, just ask. November, a prime time to start window cleaning... I have officially joined the ranks of Sharp Cleaning Services. I've gone from the warmth and comfort of a 9 to 5 office job to, very early mornings, cold (usually muddy) hands, and far fewer tea breaks. However, I'm enjoying the new challenge immensely. After 8 years of working in an office environment in Darlington, I decided that I'd like a change and so after a lot of thought and preparation, here we are. So far, apart from a few achy muscles, it's going well. There were a few furrowed brows when I told people of the decision to work with Joel, but thankfully we're loving working together and I haven't wrung his neck! Yet. I'd now happily tell anyone that if you have the opportunity to work for yourself, do it! There's so much freedom and satisfaction within self employment, I wish I'd made the decision sooner. Cleaning windows and gutters may not be the most glamorous of jobs, but with a VERY much improved hourly rate and more time to spend doing what I love, who cares! We will continue commercial cleaning, pressure washing and window cleaning throughout the County Durham area as a team until further notice! Or until Joel gets tired of my constant humming and whistling... Who knows. We provide a professional window cleaning service for schools and colleges in County Durham, Tyne & Wear, Cleveland & North Yorkshire. 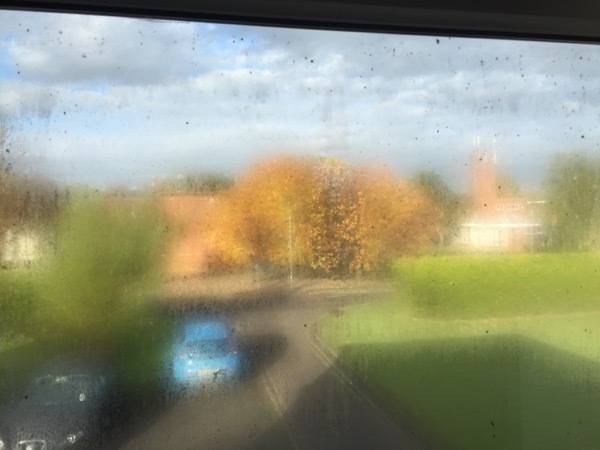 We'd love to help you keep your school or college windows clean. Feel free to call or email and we will be sure to arrange a quote in the next 2-3 days. The colder it gets cleaning windows, the more beautiful it looks. This was -1C. We try to be as reliable as possible no matter what the weather. Pressure Washing and restoring paving is dirty work. But it's rewarding. For this project we were working in Wolsingham, County Durham. Whilst most pressure washing contractors will do a thorough job of the cleaning itself, it's the aftercare that is most important. Re-sanding then sealing is vital to guarantee that the drive looks great today, tomorrow and in a years time. 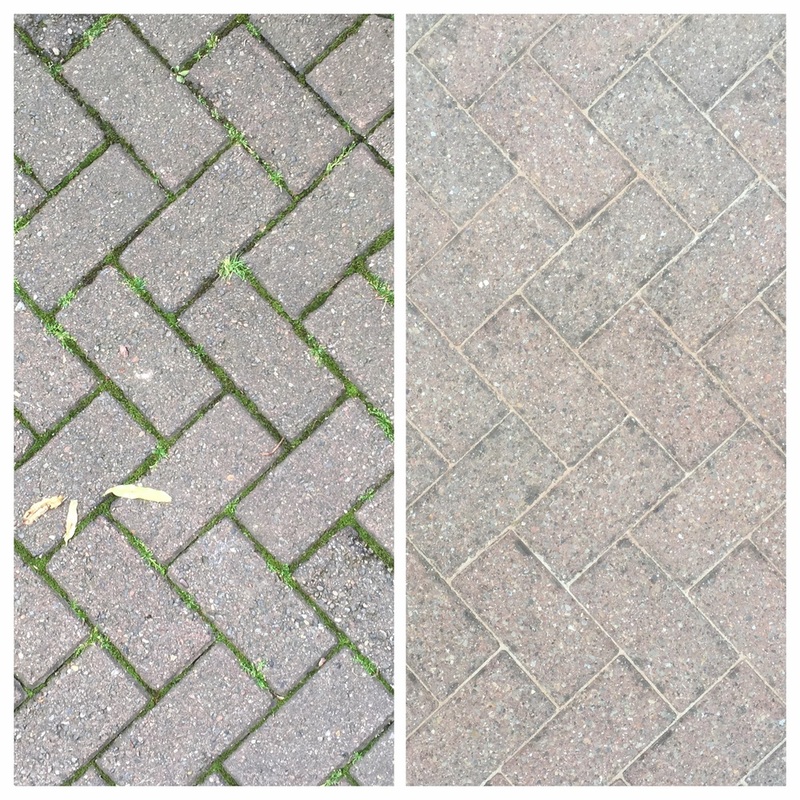 Pressure Washing can transform a driveway to look like new. We only carry out work to our high standards. If you'd like to see more examples of pressure washing check out our other blog posts. We've recently had the pleasure of working with a customer based in Darlington to restore their block paving. We were happy that the hard work paid off. Check out the results. Darlington, 'the birthplace of the railways'. So says anyone trying to improve the calibre of this town to a guest or visitor. But had it not been for the experiment that was steam locomotion on the Darlington & Stockton Railway, we may not have had the rail network the world has today. Aside from considering the butterfly effect of George Stephenson and Edward Pease meeting to discuss the railway, it is worthy to consider the industry that still graces Darlington today. Engineering expertise to service based businesses and telecoms. Considering this. We are delighted to announce we are on board with Ingenious Darlington in every way possible. Proud to be part of the town, it's economy and it's culture. We're looking forward to working with Ingeniuous Darlington and the businesses associated with it to try and make Darlington stand out. Whilst we operate in a simple industry (we make things cleaner), our aim is to try and find ingenious ways of doing our work and dealing with our amazing customers. We're hoping to see more of Ingenious Darlington branding when we're travelling around town window cleaning, pressure washing or clearing gutters etc. In the last couple of months we've been working for clients that prefer to know a little more about those who they employ. One charity in Darlington that we work with likes know each on of their staff and contractors. Therefore, the staff working on this project have received a DBS check certification. Formally known as a CRB check, this procedure gifts peace of mind to employers and employees alike. We have found that these checks give confidence to those who employ us. Whether domestic customers, schools, nurseries, charities or other similar businesses. We think it should be standard for businesses who provide services away from a fixed location to have appropriate checks. We work with customers throughout the North East. Whether commercial cleaning, window cleaning or pressure washing, Why not try out a DBS checked cleaning service? Commercial Window Cleaning shouldn't be your main concern. In many industries,one of the first impressions a potential client will have, is your shop front, office or workplace. One of the easiest, most affordable ways of maintaining your commercial premises is Window Cleaning. Using modern techniques the whole façade can be cleaned each time to ensure signage, window frames, doors etc are always clean and representing your business in the correct manner. Ever since we began operating, we've set the goal to give our commercial window cleaning clients 5 Star service. This means that we will endeavour to clean your windows at a time that suits you, often early in the morning, so that when you arrive, our work is done. We offer invoicing that does not hassle members of staff and always ensure your satisfaction. We operate throughout the North East including Newcastle, Middlesbrough, Durham, Darlington and anywhere in between. If you would like to set up a trial with your new commercial window cleaner, Just Call. We provide a service to clean windows internally. Often people don't put 2+2 together that what we do outside we can do in. Your windows are only as clean as the dirtiest piece of glass, so why wouldn't the insides be kept up to scratch. It's often surprising the amount that dirt can build up over the months as seen by the following images. So we decided at the end of last year to invest in pressure washing equipment to be able to give our customers more quality services. Since then we've been busy using this machinery to get the best results possible, and here they are. This project was to clean rendering and paving at a local retail/residential development built around 10 years ago. We've been working on projects like this in Darlington, Middlesbrough and throughout the North East England. We're really happy with the results and are starting to help more businesses and home owners to get their properties ready for summer after a long long winter. Just a quick blog in this busy time of the year to show off the brilliant results we're having pressure washing. They say a picture speaks a thousand words. So he's 4000 words of us bragging. This large project in Middlesbrough was to pressure wash large areas of Concrete and block paving. Just a short post today to show the results of some of our work. We were asked to try and clean the window frames of this property to get them back to look good as new. Normally our window cleaning takes a matter of minutes, but after hours of different techniques, were proud of the results of our cleaning endeavours. Have window frames that could do with sprucing up? Try a tried and tested company.